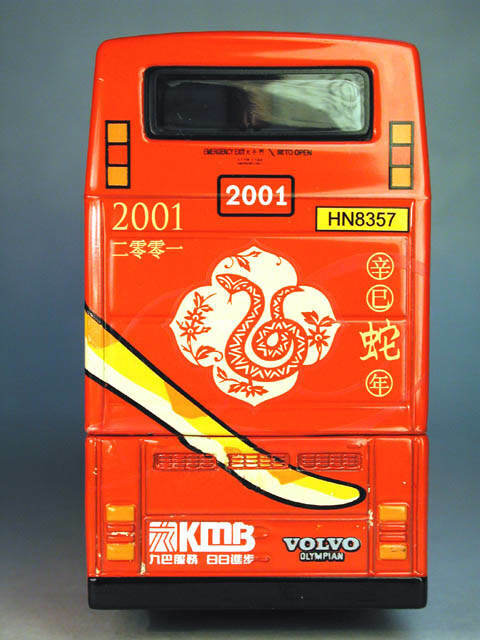 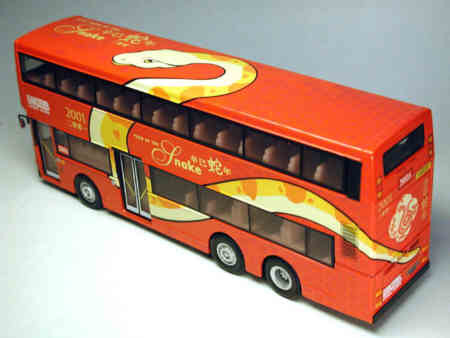 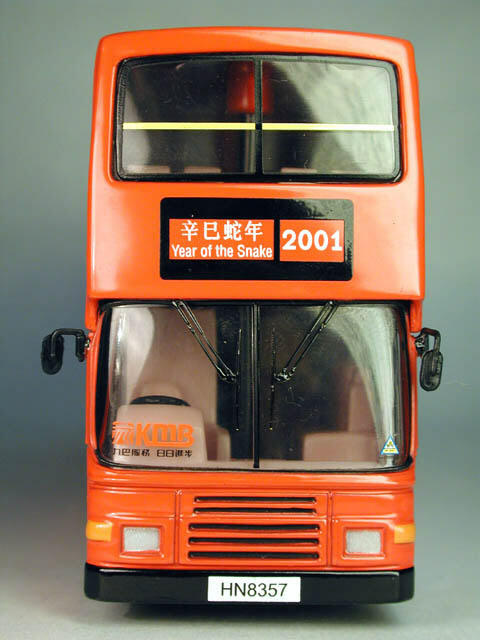 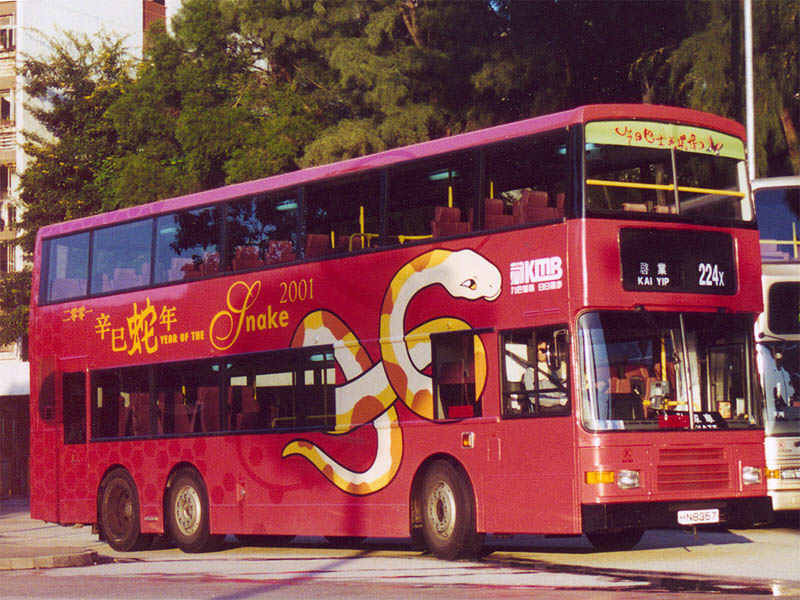 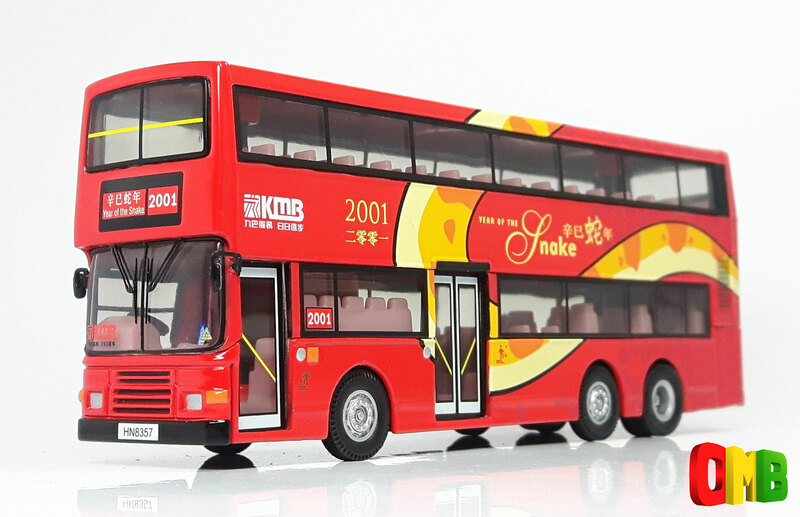 The model - 2001 is the Year of the Snake, and KMB have, for the fourth consecutive year, chosen to decorate an Olympian with suitable decals. This model, from Corgi, now includes rear-view mirrors! 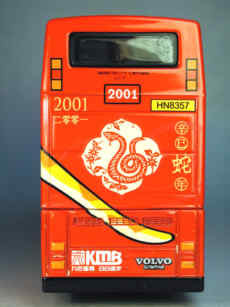 The bus - AV381 is one of a batch of over 500 11-metre air-conditioned Volvo Olympians which entered service with KMB between 1994 and September 1998. This particular vehicle entered service on 14th January 1998. 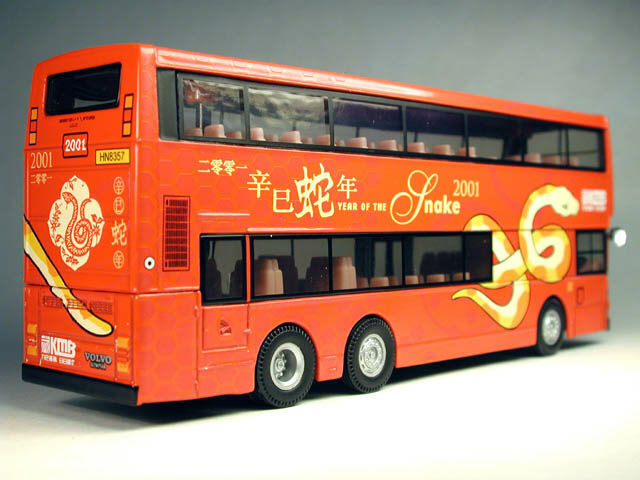 For a full list of the Chinese Zodiac, click here.